One interpretation of Daoism is that it is utterly passive, and that Daoists should make no effort to change the world. This interpretation is indeed a technically valid interpretation; the founder of Daoism, Lao-tzu, advocated severing oneself from society and becoming a hermit. However, when one considers the idea of Tian—namely, that heaven is on Earth and that it is inherently a process rather than a state—a completely opposing interpretation emerges. If heaven is a process, then it is a process that mankind must contribute to. In other words, man must take the understanding of the universe which it has gathered from the Dao and utilize this to make the world a better place—to create heaven on earth. Following one’s Li lines means applying the principle of Wei Wu Wei—active non-action—in a decidedly pro-active form. When Ganner sacrifices himself in Traitor, he is following his Li line to its fullest extent. His action—playing Horatio at the Gates in a manner that puts Gandalf the Gray to shame—allows Jacen to escape and follow his own Li lines, which culminate in his finding a peaceful resolution to the bloodiest war in galactic history. Essentially, in Daoism we all have the choice of whether or not to follow our own personal Li lines, but the universe benefits far more from us choosing to follow the line instead of diverging from it. The point of attaining an understanding of the Dao is not to go and guard it in a cave like Gollum and the Ring; no, the entire point of this enlightenment is to take what one has learned of the universe and use that understanding to change the universe for the better. Luke Skywalker does not take his understanding of familial love and hide in a cave on Dagobah—he goes to Endor to redeem his father, even if it costs him his life. So the “non-action” part of Wei Wu-Wei can be reinterpreted as “not taking action against the stream of one’s life”. When combined with the “active” part of “active non-action”, the meaning is entirely altered. Rather than sitting on a mountaintop far away from society, Wei Wu-Wei becomes the process of actively following the stream of one’s life carefully and constantly. Following the string of one’s Li lines can be complemented by understanding how Li lines interconnect, and how to manipulate those connections. Stover wrote another Star Wars novel, entitled Shatterpoint, in which the titular concept is used to describe the intersections of Li lines. By striking at the right place, and at the right moment, one can alter the course of history. Now, does acting upon the understanding of a shatterpoint follow the principle of Wei Wu-Wei or does it oppose it? I would argue that in many cases, the Li lines themselves lead one to this shatterpoint. If we are all interconnected, if the universe itself is entirely interconnected, then every action we take has an equal reaction—hence the Hindu law of karma. So to create our better world, to create and maintain Tian, then from a Daoist perspective we must learn to see how the Li lines of the universe interact, to see the shatterpoints of reality and manipulate them in order to create Tian. To use an example from Traitor, Jacen may have realized that his life or death was a shatterpoint for the war effort, and indeed the fate of the galaxy, causing him to go with Vergere and escape from Coruscant, rather than die with Ganner. So I suppose that it might be more accurate to say that Jedi philosophy, or at least the radical school espoused by Vergere, is the practical application of Daoist principles in a concerted manner to bring about a happier, more peaceful world. The Jedi principles of non-attachment echo similar Daoist principles; even death itself is seen as simply being part of the cycle of life, a journey which we must all take in the end. 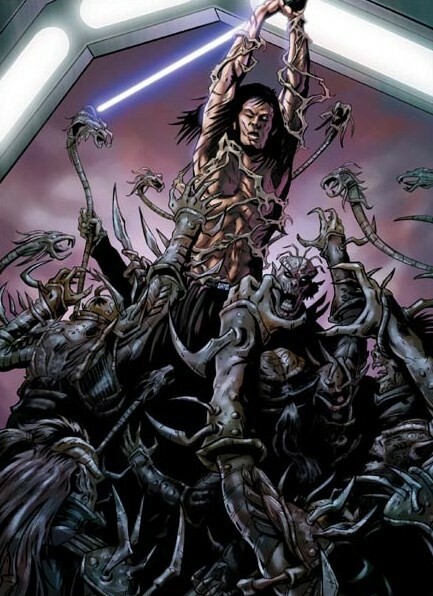 Death is the natural termination of a Li line, and unnatural attempts to extend one’s life (such as feeding on souls or possession) are considered to be extremely reprehensible to the Jedi. One could even argue that death itself is the true finish line of a Daoist’s search for eternity. In the end, the Dao, the Force, or whatever term one applies… these terms are only shades of the truth. These terms mask the truths behind them. In the past, I have contended that Vergere is a back-to-basics Jedi, suggesting that her philosophy is a throwback to both the real-world inspirations for the Jedi and the theoretical early Jedi philosophy. With that in mind, it’s interesting to look at how Dawn of the Jedi (bearing in mind that I’ve only read the first arc) interprets the beliefs and codes of the proto-Jedi. The Je’daii of Dawn of the Jedi (which takes place over 25,000 years ago, delving into the origins of the Jedi prior to the formation of the Galactic Republic) do seem to buy into a less biased version of ‘balance’ than the Jedi of the Prequel era—or indeed, the Jedi of KotOR. Their very code enshrines a commitment to truly balancing light and dark, rather than annihilating one in favor of the other as the later Jedi Order would prefer. “There is no ignorance, there is knowledge. 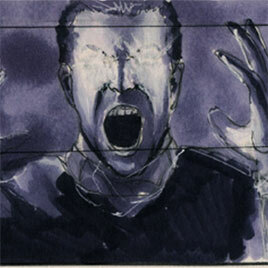 The concept of dark and light being equivalent to evil and good is set aside in favor of a worldview where both are seen as essential elements of a balanced life—we see the Je’daii exiling individuals for falling too far into the dark, as well as succumbing too thoroughly to the light (well, the second one is alluded to, at least). It’s not as well-developed a set of ideas as that espoused by Vergere- but then again, Traitor can be interpreted as an extended Daoist parable on the Uncarved Block in a certain light—but the basic concepts of Je’daii philosophy to roughly line up in a broad-strokes manner with what Vergere was trying to teach Jacen. Vergere takes the ideas farther and with more nuance—dark and light fundamentally being internal concepts, rather than external god-substitutes—but the fundamental concept is still there, and acted upon in the comics. In short, there is some substance to the idea that Vergere is drawing on the earliest concepts of Jedi philosophy. A version of this essay was originally submitted as a midterm paper for Religions of China and Japan at West Virginia University, by yours truly. My understanding of Daoism is based upon, of all things, the Star Wars mythos. In particular, I can cite the New Jedi Order novel Traitor as being the key to my understanding of Daoist teachings; the author has a much more thorough grasp of the Force’s philosophical roots than George Lucas himself could ever dream of. The novel follows Jacen Solo’s journey of self-discovery while in captivity. For those who have not read the New Jedi Order, Jacen Solo is the oldest son of Han Solo and Leia Organa Solo, and twin brother to Jaina Solo. 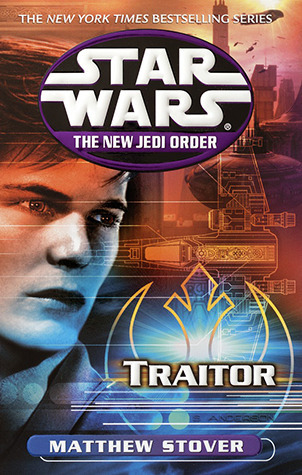 For those readers who haven’t read the New Jedi Order (and are likely unaware of the fan debates surrounding it), In the novel Traitor, Jacen Solo is held captive by the invading Yuuzhan Vong in the aftermath of the Jedi Strike Team’s assault on a Vong bioweapon facility, and the resulting death of Anakin Solo. Jacen is taught by the enigmatic Jedi known as Vergere, an unorthodox figure who has since been smeared as a “Sith”. But the epithet “Sith” cannot be further from the truth of Vergere—who herself does not exactly consider the spoken word, the name, or indeed language itself, to contain more than a glimmer of the truth. Like a good Daoist, Vergere recognizes that any truth which can simply be described, quantified, or categorized by words isn’t really a truth at all. Rather than being a product of Sith teachings, Jacen’s revelations teach him to love the universe for all of its faults, find his inner strengths, and use these to further the cause of “Tian”—the process of heaven on earth. Describing knowledge is antithetical to Daoist beliefs, for knowledge itself is in a constant state of change. To describe a truth is to imply certain static qualities concerning such truth, which runs fundamentally against the concept of “anicca”- impermanence. One cannot find the truth of the Dao in these illusory teachings, because truth itself is not permanent. In the words of the Jedi Vergere, “Everything I tell you is a lie. Every question I ask is a trick. You will find no truth in me.” In Daoism, there IS no truth that a teacher can simply impart to a student. ANYTHING that a teacher simply “teaches” to a student is a lie. The truth of the Dao is beyond any words that society has created to describe it. This VERY ESSAY will inevitably fall short of the truth of the Dao, because to write this essay, I must utilize words—words with a static, incomplete meaning, which obscures the truth behind them. » Read more..
An ancient human culture, the Tionese first appeared indirectly in Brian Daley’s Han Solo and the Lost Legacy. 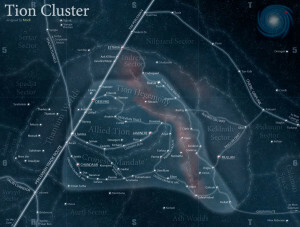 The Tionese inhabit the Tion Cluster, in the Outer Rim just north of Mon Calamari Space. 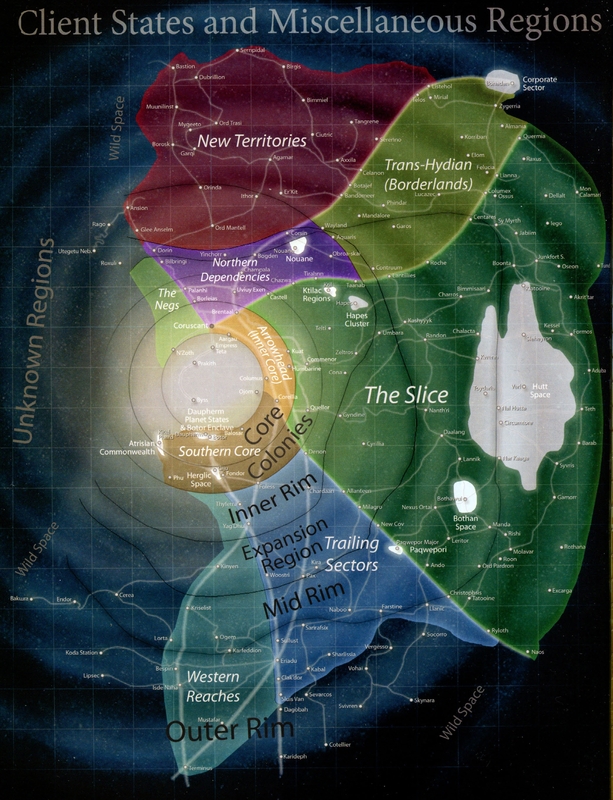 Aside from mentions in Geonosis and the Outer Rim Worlds and The New Essential Chronology, the Tionese were mostly forgotten by the EU at large until 2009, with the publication of the Essential Atlas. The Atlas greatly expanded on Tionese history, particularly the conquests of Xim. Further work was done on the Tionese during “Xim Week”- particularly Jason Fry’s The History of Xim and the Tion Cluster– and John Hazlett’s The Written Word. Much like the Latin Alphabet, the Greek Alphabet has been canonized within the GFFA, this time as the written language of the Tionese. According to The Written Word, the Tionese language was devised as an administrative tool by Jansari (A powerful group within the Livien League of the northwestern Tion Cluster). While it has been largely superseded by Aurebesh (and to a lesser extent in recent times, by High Galactic), the Tionese language remains in use in the Tion Cluster- most notably by several starship companies. Cygnus Starworks (Cygnus, the Latin word for ‘swan’, comes from the Greek ‘cycnus’, which refers to several characters in Greek mythology who were transformed into swans) produced various spacecraft in cooperation with the famous Sienar Fleet Systems for the Galactic Republic and Galactic Empire- spacecraft whose designations rather conspicuously utilize Greek letters, such as the Lambda-class shuttle piloted by Han Solo in Return of the Jedi, or the Theta-class shuttle which Palpatine utilized as a hyperspace-capable ambulance in Revenge of the Sith. Sienar Fleet Systems was headquartered on Lianna in the Tion Cluster, while Cygnus Starworks was based in the nearby Cygnus Star Empire. The Tionese alphabet was also utilized by various militaries in the GFFA—Delta and Omega Squads from the Republic Commando series bear such designations, and Luke Skywalker orders Rogue Squadron to adopt Attack Pattern Delta during the Battle of Hoth. After the decline of the Rakata, the human culture that came to inhabit the Tion Cluster repurposed old Rakatan technology to develop the hyperdrive independently of the Republic. The Tionese formed a cacophony of independent states within the Tion Cluster, constantly warring and allying with each other without any one faction gaining dominance over the rest. While the Tionese shared elements of a unified culture, the Tionese did not unify into one state of their own. Multiple alliances existed between independent Tionese states- the Livien League, the Kingdom of Cron, the Ihala Spiral, and the Three Allied Kingdoms. The political state of the Tion pre-Xim greatly resembles classical Greece. 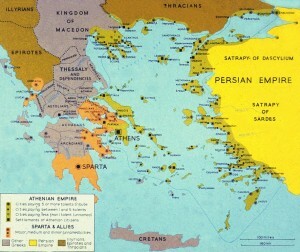 While all sorts of intercity alliances were formed (such as the Delian League and the Peloponnesian League), and some states even gained the upper hand in a region for a time (for example, Athens gaining control over much of the Aegean), no one Greek city-state gained complete control over Hellas. 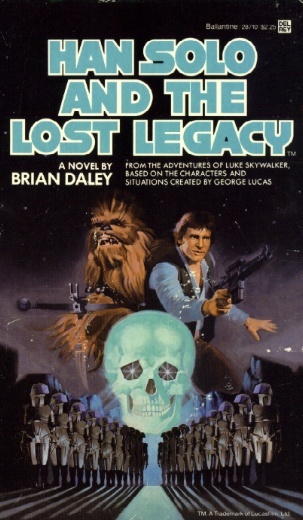 First mentioned in the 1979 Han Solo and the Lost Legacy, Xim languished in the dustbin of the EU until the mid-2000s, when the New Essential Chronology and Xim Week greatly expanded upon his career. As a result, Xim the Despot has come to resemble a less successful Alexander the Great. 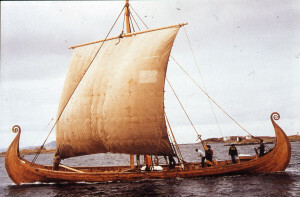 Xim’s career owed much to the exploits of his father, Xer VII, whose conquests in the northern Tion provided a base of power from which Xim could conduct his raids and subjugations throughout the Tion. Xer conquered much of the Tion Cluster proper, and upon his death was succeeded by Xim, who finished what Xer had started and expanded beyond the borders of the Cluster. At its height, Xim’s Empire extended from the Radama Void to Kessel, and attempted to push into the Hutt Empire, that early bogeyman of humankind in the GFFA. Xim’s diplomacy and tactics were ruthless, yet he met his match in the form of the Hutts, led by Kossak the Great. 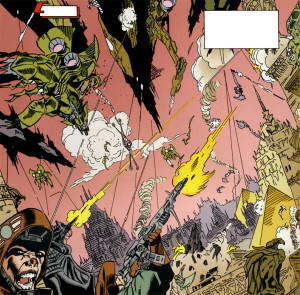 After a series of three ritual battles over Vontor, Xim was thoroughly defeated by Kossak; accounts differ as to whether he died at Vontor or rotted in Kossak’s dungeons. Xim is described in some sources as egotistic, even megalomaniacal, with his vision of a large empire outstripping the practicalities that the resources at hand lent him. 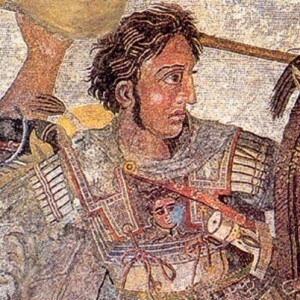 Xim’s career resembles that of Alexander, had Alexander been crushed repeatedly at the Battle of Issus by Darius III of Persia. Like Alexander before him, Xim owed his initial powerbase to his father, who died under suspicious circumstances—regardless of whether or not Alexander’s mother actually poisoned Philip II, the rumors surfaced nonetheless, and no doubt helped to inspire Xim’s mother/wife, Queen Indrexu. Both Alexander and Xim, after unifying their normally fractious cultures (who in fact regarded them initially as barbarian foreigners), made war upon their cultural bogeymen, be they the Hutts or the Persians. Xim’s story differs in the conclusion—Alexander crushes the Persians and goes on to carve out a massive empire, while Xim’s momentum comes to a wrenching halt in orbit above Vontor. The empires formed by both figures fell apart upon their deaths- Xim’s conquests were gobbled up by the Hutts or simply broke off from his Tionese Empire, while Alexander’s generals (often called the Diadochi) scrambled to carve out the corners of his empire as their own personal kingdoms. After the fall of Xim, the Tion Hegemony returned to its previous fractious state. Xim’s outlying conquests were conquered, declared independence, isolated, or sterilized by the Hutts. Circa 24000 BBY, scouts from the Tion encountered traders from the fledgling Republic- among whose member cultures several regarded the Tionese as their cultural antecedents. Sensing an opportunity to expand, the Tionese formed the Honorable Union of Desevro and Tion and invaded the nascent Republic along the Perlemian Trade Route, fission-bombing multiple Republic colonies. While the war initially went in favor of the Tionese, the Republic rallied, constructing its first real navy and enlisting the aid of the Jedi Order. 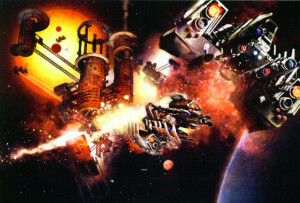 The Republic then took the war to the Tion Cluster, devastating multiple worlds and bombarding Desevro. The Tionese War resembles the Macedonian Wars, conducted from 190-146 BCE by the Roman Republic against the Antigonids, rulers of Macedonia. Like the Republic—particularly the planet Alsakan– the Romans viewed the Greeks as their cultural forbearers, even as they went to war with them (the Roman Republic pushed the narrative that they were ‘liberating’ the Greeks from the ‘tyranny’ of the Antigonids). The onus for starting the war differs- the Tionese outright invaded Republic Space, whereas the Romans engineered a cause for war in order to invade Greece. As I mentioned in “Senatus Populusque Res Publica Galactica”, the devastation of Desevro at the end of the war echoes the sack of Corinth at the end of the Third Macedonian War- a war fought against a recently-formed league of Greek States meant to drive the Romans from Greece. Like the Tionese, the Greek were incorporated into the Roman Republic after the Macedonian Wars, as the provinces of Macedonia, Graecia, Thracia, and Achaea. 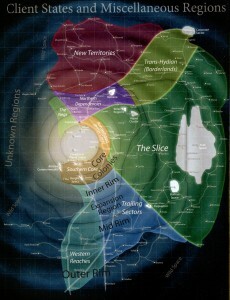 Following the defeat of Xim, the Hutt expansion into former Xim-controlled territories, and the Republic conquest of the Tion Hegemony, the Tion gradually became a backwater on the Outer Rim. The momentum of expansion fell to the Republic, and that expansion for the most part was directed away from the Tionese, into the Slice and the Northern Territories. The Tion Cluster did experience a brief resurgence during the Clone Wars. Count Dooku announced the formation of the Separatist movement from the surface of Raxus Prime, and the Tion supported the CIS during the Clone Wars, even hosting the Separatist Council for a time on Raxus. After the war, the Empire further divided the Tion into several sectors in order to prevent the formation of any potential power blocs in the region. They need not have worried, as by this point in time the glories of the Tion lay far in the distant past. Xim and the Tion describes the worlds of the Tion circa-GCW as almost uniformly backwater worlds who cling to notions of past glory while being home to little more than subsistence farmers and tourist attractions- the Tion has become the statue of Ozymandias in the eponymous poem. 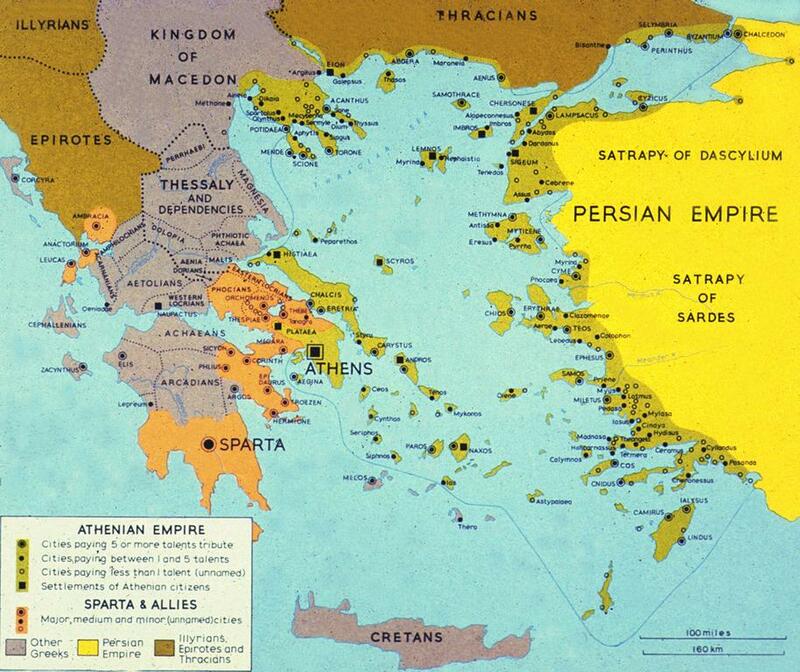 Like the Tion Cluster, Greece and Macedonia were divided into several provinces by the Roman Empire. After the death of Alexander, the momentum of expansion in the Mediterranean and Mesopotamia shifted away from Greece itself. In the East, the Seleucid Empire (founded by one of Alexander’s generals and encompassing much of the old Persian Empire’s territory) and the rest of Alexander’s successor states fought over the remnants of his empire, while the Antigonids of Greece tried their best to simply hold onto Greece. In the Mediterranean, Rome’s star waxed as Greek power waned- first with the Romans taking the Greek colonies in southern Italy and Sicily, and then with the Macedonian Wars. While it didn’t exactly suffer under the Roman Empire, and indeed the Eastern Roman Empire later used Greece as its base of power, the Hellenes cannot be described as the masters of the Mediterranean during the era of Roman dominance. Tune in next time, as Tyler explores the Vikings, the Mongols, and the Celts, and how they all exerted an influence upon those lovable, overrated psychopathic mercenaries, the Mandalorians. A Republic is formed in a central region, is led by a Senate, undergoes a great period of expansion, fights wars against nomadic invaders and its cultural antecedents, and transitions from a republic to an empire under the direction of a charismatic leader who outlived his detractors. Many storylines and facets of various fantasy universes draw on Roman history, from the Malazan Empire of Malazan Book of the Fallen and the Septim Empire of The Elder Scrolls to the the Valyrian Freehold in A Song of Ice and Fire. Star Wars is no different in this regard. Several significant similarities exist between the Galactic Republic and the Roman Republic, from their languages to their enemies. The Latin alphabet has been canonized within the Galaxy Far, Far Away as the ancient language of the Republic. 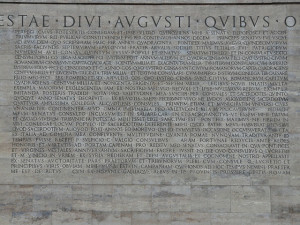 For years, Latin letters have appeared in the EU- see, for example, the signatures on the Declaration of a New Republic. Latin was canonized as the High Galactic Alphabet by John Hazlett, known to TF.N posters as jSarek, in his article The Written Word. 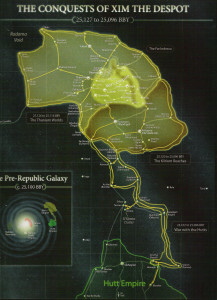 High Galactic originated with the Alsakani, one of the founding cultures of the Republic. Within the GFFA, it is still used for signatures, droid designations (note that, to paraphrase Dan Wallace, we never refer to a certain smarmy astromech as ReshTwo-DornTwo, or his flighty counterpart as Cresh-ThreePethOsk), and names of starships. Whether or not Latin itself exists within the GFFA is debatable. While various Latin and pseudo-Latin names appear frequently in Star Wars– the Imperial Navy is replete with vessel classes such as the Praetor, the Acclamator, the Venator, and the Imperator— such words could also originate other Core World tongues. 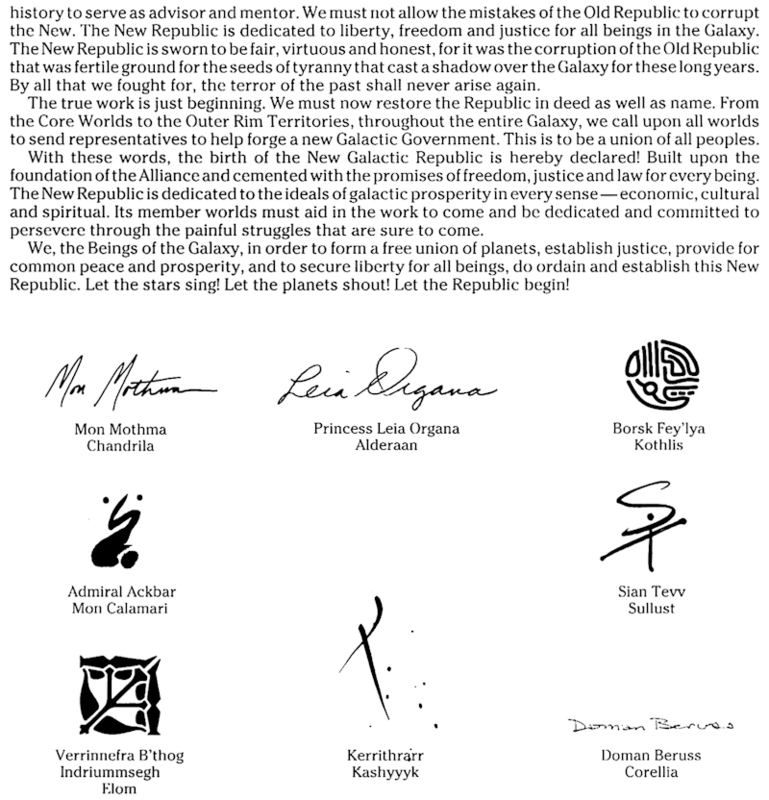 Like the Roman Republic, the Galactic Republic was governed by a Senate. The Senate was led, of course, by the Supreme Chancellor. While many of the details of the office of the Supreme Chancellor align more closely with modern European prime ministerships, it is notable that the Chancellor’s office was represented by a fanned spear, similar to the fasces, the symbol of the authority of the consul (The fasces was an axe surrounded by a bundle of sticks, symbolizing the power of a Roman consul or dictator to dole out capital punishment, if necessary). 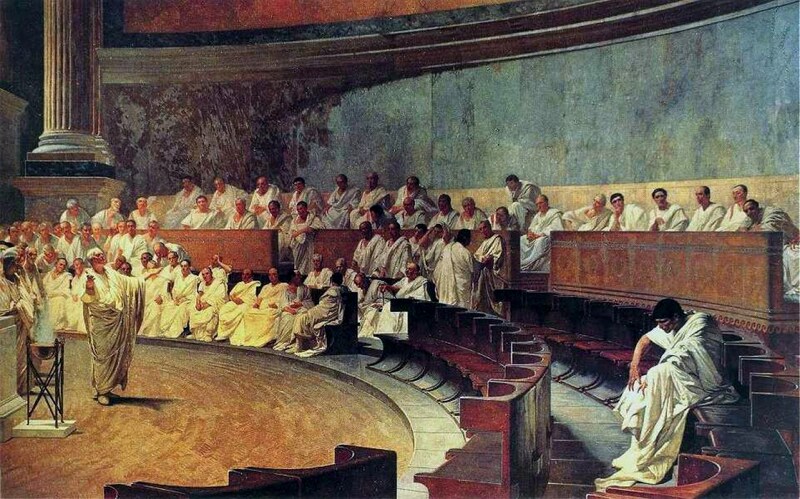 Notable differences exist, however, between the Galactic Senate and the Roman Senate. In particular, the manner of representation differed greatly between the two organizations. The Galactic Senate was composed of representatives from member worlds, systems, or regions. Every region had explicit representation in some form or another. Elections were usually left up to the individual star systems. In contrast, the Roman Senate under the Republic was appointed either through the censors or by election to a magistracy. There was no Senator of Achaea, no Senator of Mauretania- it was a Senate of, by, and for the Romans. 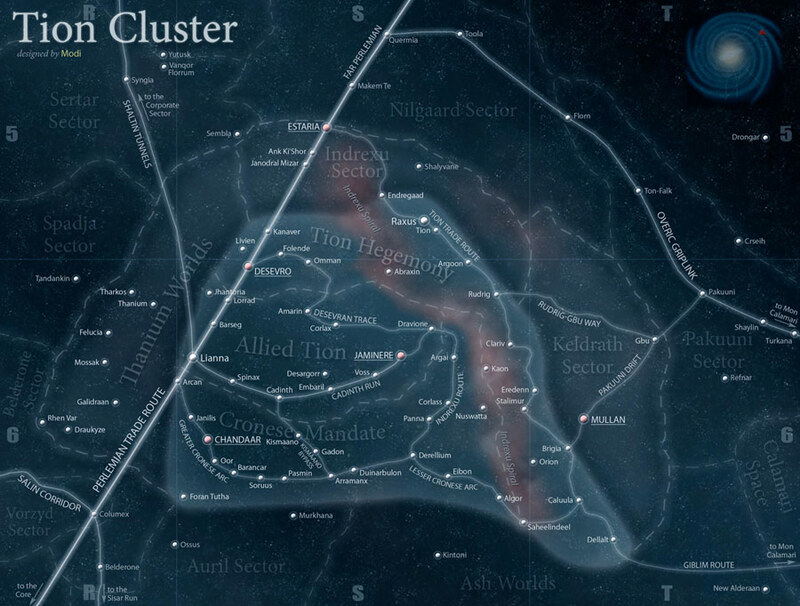 One of the many fascinating sections of the Essential Atlas dealt with the Allied Regions, semi-independent sectors within the Old Republic. Allied Regions often originated as the domains of early adversaries of the Galactic Republic who chose accession over violence, and were generally left to govern their own affairs. Many of the Allied Regions could be found along what had been, at various points in time, the Republic’s frontier. Allied states were also a staple of Roman administration, first in Italy and later along the frontier. During the Republic, many of the Italic cities constituted autonomous states within the Roman Republic complete with their own citizenship, language, and local governance. In exchange for obeisance, taxes, and troops, these cities were largely left to govern their own affairs. Along the frontiers of the Republic- and later, the Empire- allied client kingdoms were established in sensitive regions that the Romans did not wish to directly control. Rather, Rome ruled through client kings (who often had Roman citizenship) in areas such as Bithynia and Armenia. The Galactic Empire had similar arrangements with Hutt Space and the Corporate Sector. The enemies of the Galactic Republic at times bore a striking resemblance the adversaries of the Roman Republic, and to a lesser extent the Roman Empire. Early on in her history, the Republic fought a series of vicious clashes with polities in the Tion Cluster. The Tion were already an ancient human culture by the year 24000 BBY, and Tionese culture had influenced much of the rest of human culture in the GFFA– certain Core worlds, such as Alsakan, even believed themselves to be Tionese colonies. However, by this point in time the Tionese had entered a long decline- Xim was long dead, the Hutts had ravaged many of their worlds, and the cluster itself had fractured into feuding polities. The Tionese War ended in a resounding Republic victory, as the Republic glassed Desevro. This conflict rather resembles the Macedonian Wars, a series of wars fought by the Roman Republic in the 2nd Century BCE against the Antiochids of Macedonia. Like the Galactic Republic, the Romans were fighting an enemy who had exerted a great cultural influence over them- a culture that was perceived to have fallen from a putative golden age and returned to a set of small feuding city-states and kingdoms following the death of Alexander. Jason Fry’s Xim Week and John Hazlett’s The Written Word pretty firmly established the Tionese as Hellene analogues in the GFFA (more on that next time), going so far as to officially canonize the ancient Greek alphabet as the Tionese language (thereby explaining the presence of Lambda-class shuttles and Delta Squad). 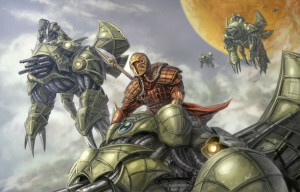 Thousands of years later, the Republic would clash with nomadic invaders from the Outer Rim: the fearsome Mandalorians. The Mandalorians would take part in several wars against the Republic, wreaking havoc from Dxun and Eres III to Duros in the Galactic Core, and even briefly striking at Coruscant itself during the Great Sith War. The Mandalorians were originally portrayed as a staple fantasy nomadic warrior culture- something of a cross between the Vikings and the Mongols. In recent years- particularly since Karen Traviss gave her own take on the Mandalorians- the trend has moved more towards portraying the Mandalorians as Space Celts. And the Romans were quite familiar with fighting Celtic cultures. To the Romans, the Gauls were a cultural bogeyman similar to the role played by the Persians in the Greek psyche. Traditionally the Gauls had harried the Romans from Northern Italy for centuries- in 391 BCE, the Gauls even managed to sack the city of Rome itself. On a more general level, the clashes between the Republic and the Mandalorians are reminiscent of the wars between the later Roman Empire and nomadic groups such as the Franks and the Goths. 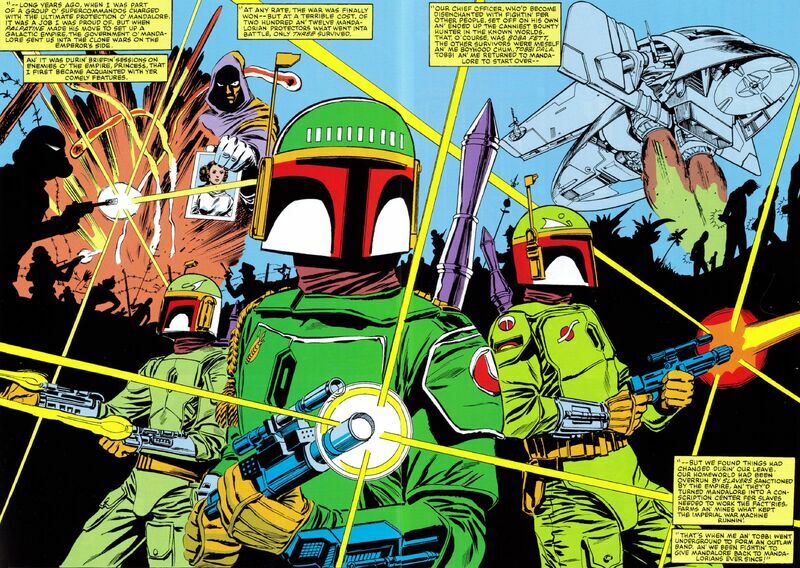 Notably, both the Mandalorians and the Goths served as mercenaries for the very governments they famously fought. The earliest canonical mentions of the Old Republic are found in Episode IV, when Tarkin informs the rogue’s gallery of admirals, generals and Sith Lords aboard the Death Star that the Imperial Senate has been disbanded, and “the last vestiges of the Old Republic have been swept away”. The prequels would later elaborate on the transition from Republic to Empire, a transition which occurred at the behest of one Chancellor Palpatine- a figure who was inspired by many historical figures, among them Augustus Caesar. Augustus was able to engineer his election to the consulship soon after the assassination of Julius Caesar in 44, and utilized his position to eliminate his opponents and consolidate his hold over the Roman government. Most of his powers were in fact voted to him by the Senate- during the Second Settlement tribunician power was granted to him, as well as censorial power (Tribunican power gave him the power to propose and veto legislation, while censorial power allowed Augustus to appoint and dismiss senators. This all was in addition to the executive powers he held as consul.). During and following his consolidation of power, Augustus embarked on a series of military campaigns throughout the Mediterranean world, incorporating new areas into the Empire and reasserting control over regions where control had been tenuous. All of which should sound very familiar to the career of Chancellor Palpatine. Like Augustus, Palpatine was able to effectively rewrite the history of his rise to power in order to suit his needs– Palpatine portrayed the Jedi Order as the perpetrators of the Clone Wars, as well as suppressing or rewriting accounts that contradicted his narrative. 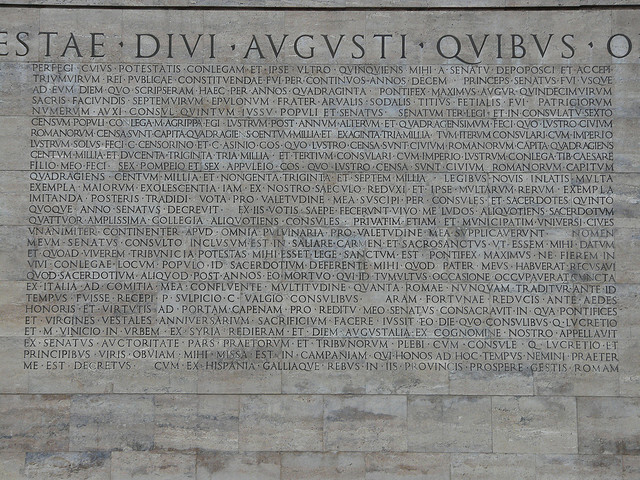 Augustus, in his Res Gestae Divi Augusti (The Accomplishments of the Divine Augustus- the funerary inscription listing Augustus’s achievements) whitewashed his actions during the Second Triumvirate and the Civil Wars, glossing over the widespread murders of his political opponents while trumpeting how he “brought peace” to the Roman people. While it lacks a Romulus-style foundation myth, the Galactic Republic nevertheless followed many of the precedents set by the Roman Republic. The Galactic Republic’s enemies took many cues from the Roman Republic’s enemies, from culture and language to their own history. These kinds of historical references abound in the Star Wars films and Expanded Universe, and are likely to appear in Disney’s iteration of the franchise as well. Next time on A Long Time Ago, Tyler will explain why the Tionese are Space Greeks and how Xim the Despot is a less competent Alexander the Great with beam-tube technology.